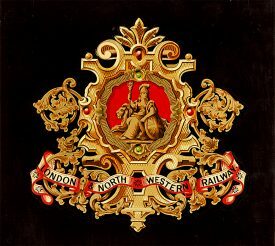 The LNWR Society was founded in 1973 to collect and disseminate information about the L&NWR and its successors. To help achieve its objective, the Society, which has charitable status, has been acquiring an ever growing archive based at Kenilworth – currently some 23,000 catalogued items, with approximately 20,000 photographs. The archive continues to grow apace as the National Railway Museum and other organisations and individuals donate additional material. The society’s extensive archives includes documents, drawings and photographs, and to its library of books and periodicals. These collections cover all aspects of the L&NWR and its staff, locomotives, rolling stock, the constituent and associated companies, and the later history of the L&NWR network. A catalogue of our extensive collection is held on computer so that visitors can search by subjects, words or phrases, dates or combinations. There are also detailed computer based bibliographies of books and periodical articles that may also be searched. Visitors may purchase copies of most material held at the study centre provided that the copies are for private research purposes only. Scanning facilities are available and the use of digital cameras is allowed, subject to signing a copyright statement.